I recall reading somewhere (in Hans's newsletter, I think) that Returning to the Land of the Morning Calm originally started life as a short story about Martin - the octogenarian main character - and I can see why that simply wouldn't have been enough to do justice to this character's journey, nor to take us on that journey with him, from the USA to South Korea, twice in a lifetime. 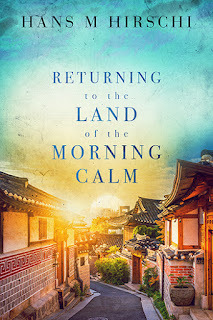 It's the closest I'm getting to visiting Seoul, and that's OK. As is always true with this author's stories, I learn so much about cultures I've never (nor, likely, will ever) come into contact with. 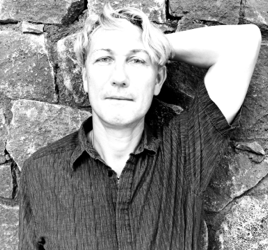 From the round-the-world tour in The Fallen Angels of Karnataka, to a trip to the northernmost reaches of Sweden in Last Winter's Snow, Hans takes us to incredible places, and is thankfully endowed with the talent to depict those locations, the people, the food, the smells, the sounds...in literary form. So there's the location and cultural elements, a rich context that is both backdrop and foreground to Martin's 'love story' - his love of Korea, its cities, people and food - and his love of Ji-Hoon, told through retrospective chapters interspersed with Martin's present-day situation as what my (82-year-old) mother-in-law calls 'an elderly' in a retirement home. While Martin seems happy to spend the rest of his days looking at the same four walls, his new friends have other ideas. Not content with sharing Martin's experiences vicariously, they somehow persuade him to take the trip back to Seoul, which is astounding, now I think about it, because Martin's set in his ways and doesn't shy away from telling people (nurses included) what he does and does not want to do...which leads me to conclude that perhaps he'd spent a fair bit of the sixty years since he left Seoul wishing he could go back. Yes, I'm still thinking about the story now, three weeks after it was released and at least a month since I read it (I love that part of my job - reading the final story before it flaps its wings and takes flight for the first time). This is a novel that will appeal to many different readers - those who enjoy travel, those who appreciate a love story, those who appreciate well-researched settings - in other words, a story pretty much everyone will enjoy. 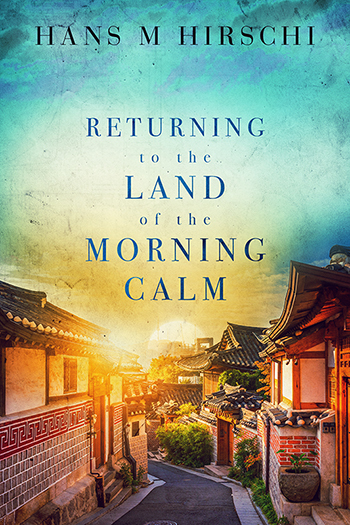 Returning to the Land of the Morning Calm is a novel by Hans M Hirschi, available in paperback and ebook formats.